is the author of Database Nation (2000). His research interests include privacy in big data, cybersecurity and usability. 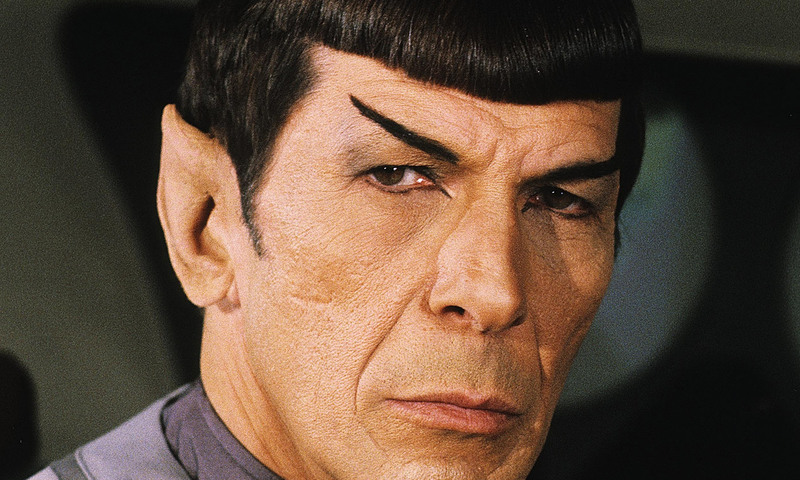 He lives in Arlington, VA.
Spock was the epitome of logic in the original Star Trek series. Although he had a human mother, it was the Vulcan half that was firmly in control. If he said that something was interesting, as I understood it, then he was describing an expected, objective fact. That notion is embedded deeply in today’s popular culture: cable news segments, websites and Facebook posts compete for our attention with surprising but allegedly genuine – interesting – truths. It didn’t occur to me at the time that when Spock said that something was interesting, he wasn’t talking about that thing, he was talking about himself. Forty years later, I see things more clearly. The well-meaning writers on Star Trek set a bad example for us all, and the taint has only kept spreading. Calling something interesting is the height of sloppy thinking. Interesting is not descriptive, not objective, and not even meaningful. Interesting is a kind of linguistic connective tissue. When introducing an idea, it’s easier to say ‘interesting’ than to think of an introduction that’s simultaneously descriptive but not a spoiler. I hear interesting all the time at conferences when someone is introducing a speaker. I hear interesting on the radio, when a host introduces an upcoming interview. These flighty little protocols happen so rapidly that they transit almost below the level of conscious discourse, serving only to prime me to pay attention. In practice, interesting is a synonym for entertaining. This conflation has become especially problematic in higher education. Back in 2010, an article in US News & World Reports said that the number-one sign of a bad professor is that ‘the professor is boring … Even in the very first classes, you can tell if the professor presents the material in an interesting way.’ Likewise, a blog post from Concordia University in Portland about teaching strategies offers advice on ‘how to become a professor who keeps lectures interesting’. The Princeton Review’s series of college guides (eg The Best 381 Colleges) give every college and university a ‘Profs interesting rating’. In today’s data-driven educational enterprise, faculty who do not entertain frequently do not get promoted – or even retained – because of the influence of student evaluations. The same goes for information technology workshops and conferences I attend, where questions such as ‘I found the speaker interesting’ on evaluation forms help to determine who is invited back in subsequent years. TED talks are the logical conclusion of this fashion, inspiring lectures with high production values and well-rehearsed presentations. They hold one’s interest, but they convey little information. Seriously, what do you remember from the last five ‘interesting’ TED talks that you watched? What’s the result of society’s increasing emphasis on entertainment over substance? Novelty and innovation are valued above rigour; boring truth loses out to flamboyant falsehoods. I see it in today’s click-bait headlines, and even in the practice of science. People say interesting to convey importance – and they shouldn’t. I review papers for academic conferences and scientific journals, and I’m routinely frustrated when other reviewers write dismissively that an article under consideration ‘isn’t very interesting’. That word, it does not mean what these reviewers mean. What they’re trying to say is that the scientific findings aren’t presented effectively, or that the results are only incremental, or (heaven help us) that the findings are not new, but merely replicate work that’s been done by others. Replication and repeatability are thought by many laypersons to be a shared ideal among many scientists. In practice, few scientific studies are ever replicated. Last year, a survey by Vox.com of 270 scientists found few attempting replication studies because of the difficulty in funding and publishing. Funding agencies pride themselves on sponsoring transformative, breakthrough research – interesting work that, almost by definition, doesn’t repeat (read: replicate) what’s been done before. And journals generally don’t print articles that merely replicate findings that have been previously published; such articles aren’t considered sufficiently interesting. The results are bad for the practice of science, because the scientific method relies on replication. Without it, it takes a lot longer for erroneous studies to be corrected. But getting things right is not interesting, it’s pedantic. So, when you write or speak, don’t say that something is interesting. It might attract your interest, sure, but whether your audience finds something interesting is determined by a complex set of preconditions including their background knowledge and other items competing for their attention. Their interest depends, too, on their pre-existing emotional state. The Diagnostic and Statistical Manual of Mental Disorders (the DSM-5 ) states that ‘markedly diminished interest or pleasure in all, or almost all, activities most of the day, nearly every day’ over two weeks or more is one of the diagnostic symptoms of major depressive disorder. Meaning that, if your audience doesn’t find your astronomy talk interesting, the fault might indeed be in themselves, and not in the stars. Conversely, if someone tells you ‘this is interesting’, remember that they aren’t describing the thing at all. They are describing the effect of that thing on them. Even though we hear it a lot from the would-be Vulcans around us, interesting is a subjective, emotional word, not the objective, logical word we want it to be. It must be Spock’s human half talking. This article reflects the views of the author and is not the official policy of the US Census Bureau, the Department of Commerce, or the Government of the United States of America.